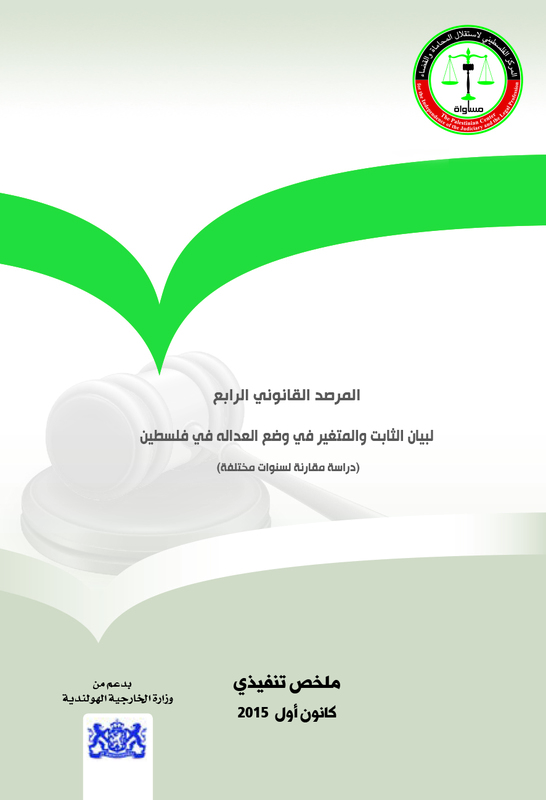 As part of its good offices to build strategic partnerships with partner institutions to consolidate the rule of the law principle through monitoring and documentation of the fair trial violations, the Palestinian Center for the independence of the judiciary and the legal profession –MUSAWA- organizes a training program in the Gaza strip universities that signed memorandums of understanding with MUSAWA, to build the capacities of the law students in these universities. 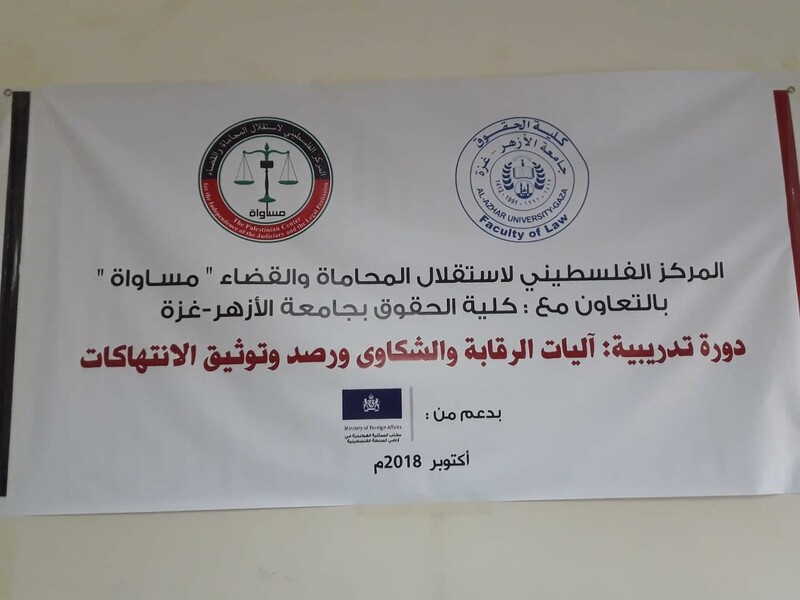 As part of the mentioned training program, MUSAWA conducted a training course at Al-Azhar University on 16-17/October, 2018, and the training material was lectured by the Legal Monitoring Officer at MUSAWA, Adv. Rula Mousa, and Adv. Mohammad Al-Louh, member of the Lawyers for the Rule of Law Groups (friends of MUSAWA), who both addressed the monitoring and complementation mechanisms, and monitoring and documentation of violations. 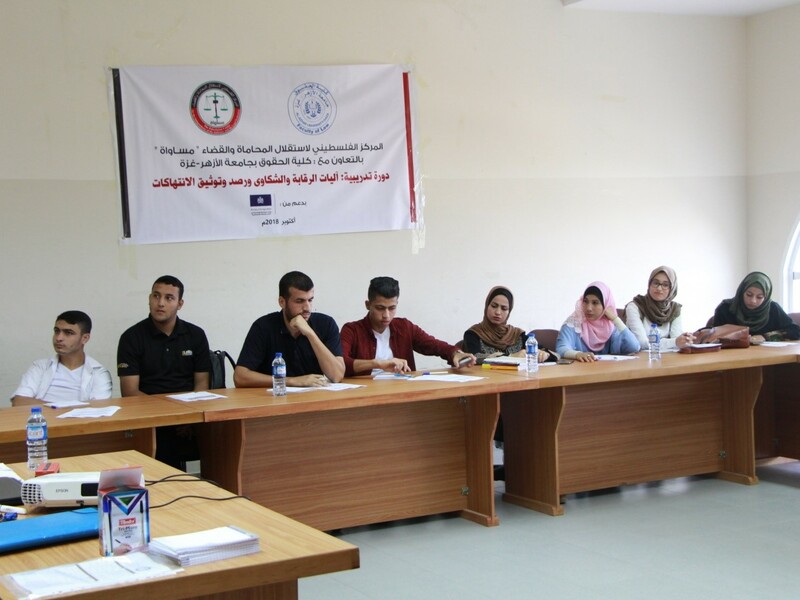 The training course targeted 29 students, eight of which are women. The training took place at the Law Faculty at Al-Azhar University, for 4 consecutive hours per training day, which covered several points, such as the Complaint concept, kinds, objective, and the skills of dealing with it, and training the participants’ groups on the Complaint Units’ competences and on the complaint’s sample, and Introducing the definitions of monitoring, documentation, violation, the goals and main principles of monitoring and documentation, and the Documentation of human rights violations, and The means of monitoring, in addition training the participants’ groups on field monitoring, monitoring samples, and processing tools, and Distributing MUSAWA’s guides to monitoring and documentation of violations. 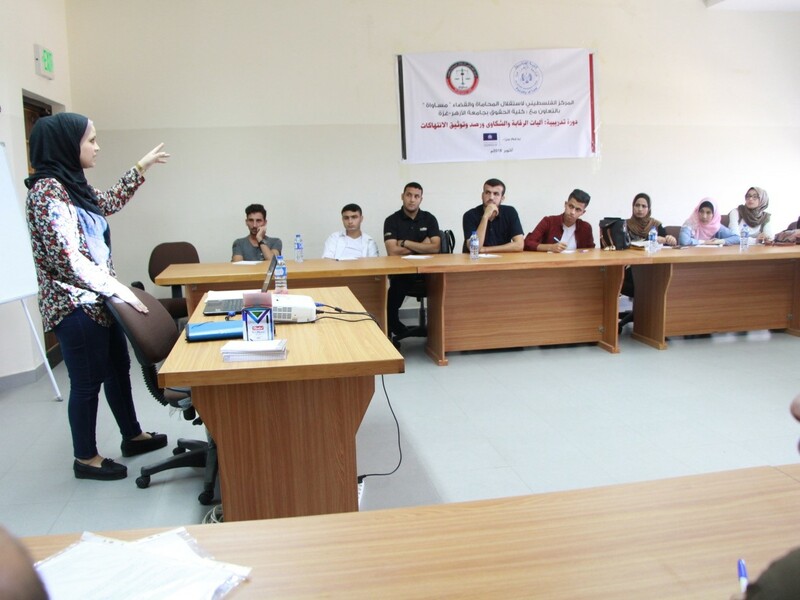 The training also included practical applications of real complaints and connecting them to the participants’ surrounding environment, and at the end of the training workshop, the participants recommended that training programs, specializing in the area of legal practice skills, should be held more often.